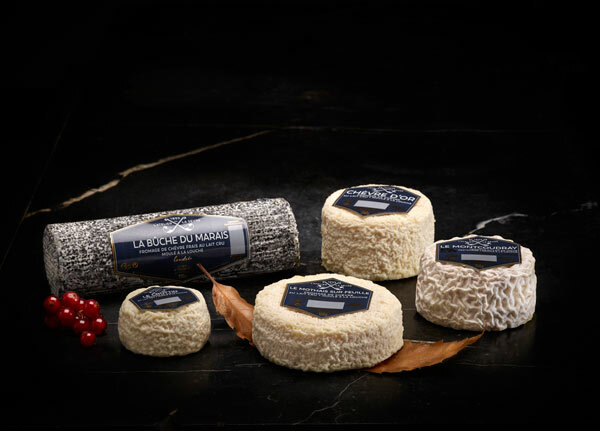 Our Atelier de la Sèvre range is a range of authentic regional cheeses which are natural, healthy and targeted at dairy stockists. Our products are produced in Deux-Sèvres, at the heart of our dairy located in Celles-sur-Belle, 20km away from Niort. All of our products are produced with milk collected every 48 hours from our 65 goat milk partners found within a 30km radius of our dairy. After the milk is slowly matured, our cheeses are ladle-formed and dry salted, before being placed into the drying room for the post-maturing period under the supervision of our master cheesemaker. They are then packed into wooden crates. 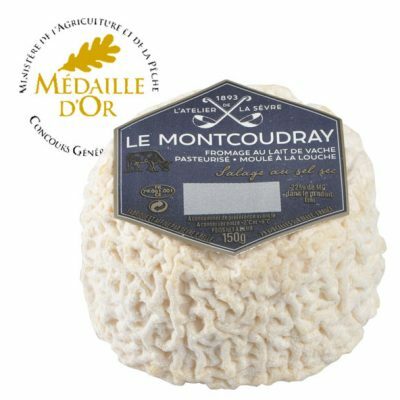 Our Montcoudray (150 g) has been honoured by a gold medal at the Concours Général Agricole 2017. This cows’ milk cheese takes its name from the Coudray-Salbart Castle which sits atop a hill in the town of Echiré. This delicious cheese will surprise you with its texture and flavour.